The offering you made last week empowered ministry within our congregation and in response to the needs of our community. It also helped support the work of ministries beyond the local church that reach people who are in desperate need to hear the good news of love and redemption. You’ve supported the work of military chaplains serving in the U.S. and deployed around the world, who are approved, supported, and connected to the larger church though the General Board of Higher Education and Ministry (GBHEM). 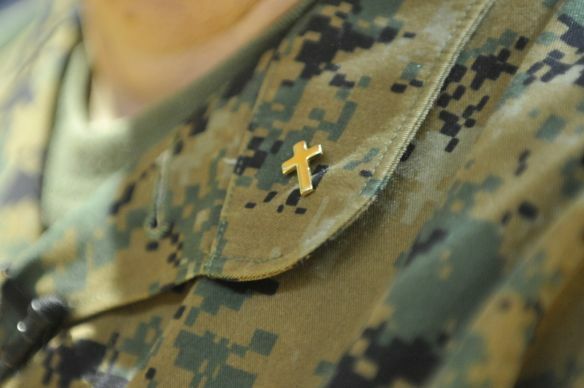 They offer a crucial connection to faith for people who serve in our armed forces. This ministry happens thanks to the generous support of United Methodists like you. I invite you once again to give generously as we worship God through the sharing of our gifts, tithes, and offering.